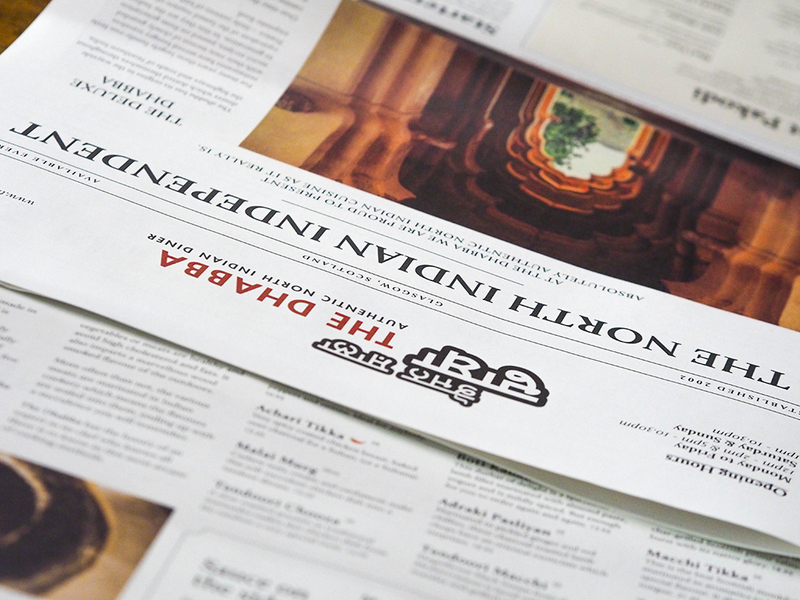 A Merchant City staple since 2002, The Dhabba in Glasgow has consistently been named as one of the best curry destinations in the city, in particular, for North Indian cuisine. It wasn’t until a few weeks ago that I tried it out for myself – would it live up to its reputation? It’s no secret that I adore Indian food, however, dining in a restaurant that purely caters to North Indian was a culinary adventure. Personally, the most I know about the differentiation between North and South cuisine is rather basic. 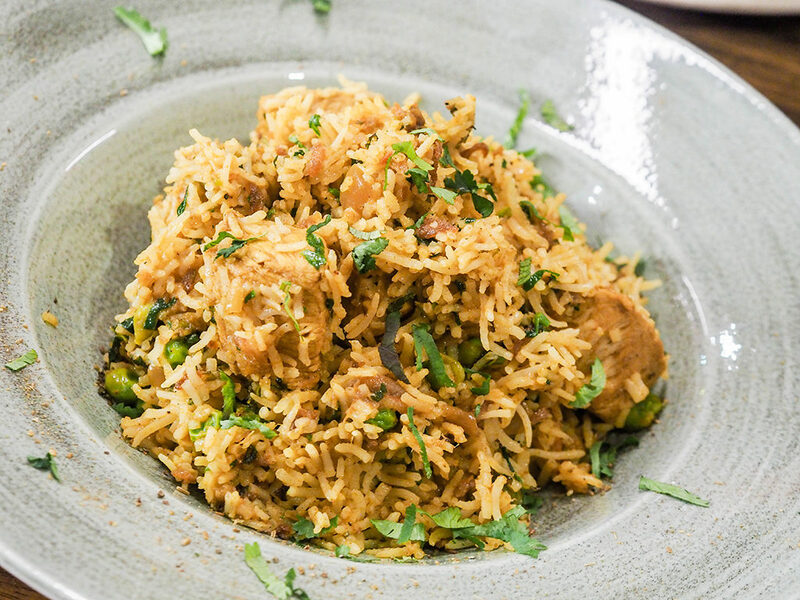 With Middle Eastern influences in the North, Biryani is one of the most popular dishes to come out of the region. 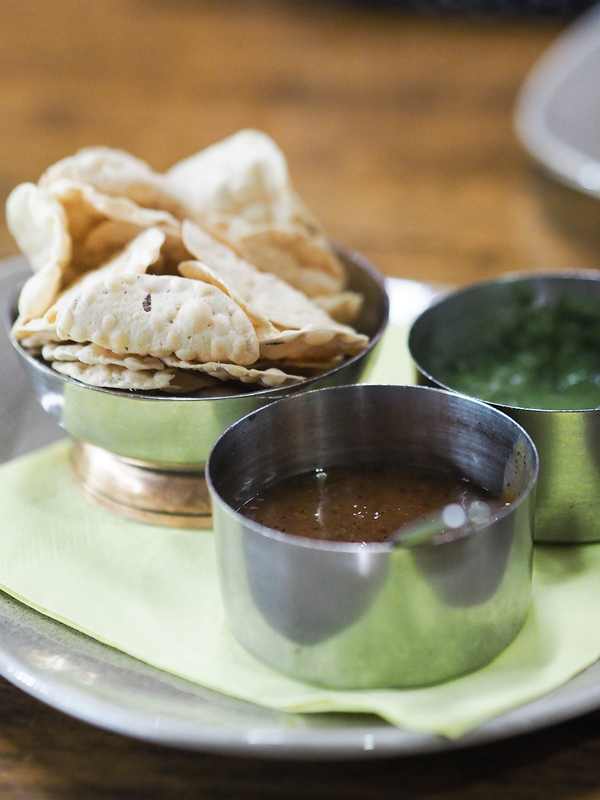 North Indian curries usually consist of creamy, thick sauces; ideal for dipping chapati or naan bread into. Food in the South, as served in The Dhabba’s sister restaurant, The Dakhin, is generally spicer with coconut based sauces, seafood and vegetarian dishes playing a huge role. That’s where my knowledge ends. 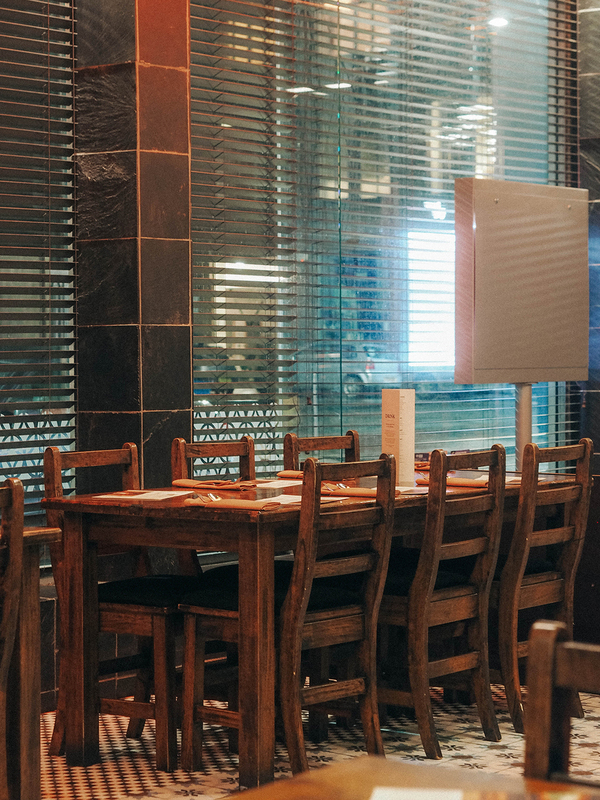 Forget your Chicken Tikka Masala or Lamb Roganjosh, it was time to order some dishes and explore North India for myself, from the comfort of a rather elegant decorated restaurant in the heart of Glasgow. With a relatively new menu, launched at the tail end of 2017, it is so extensive and rather difficult to know what to order. Everything sounded delicious and I had a short list of four different dishes I wanted to try. Naturally while deciding what to order, we both quite happily snacked away on the mini poppadoms and chutneys. Addictive and always leave you wanting more and more. Shuruvaati Thal. 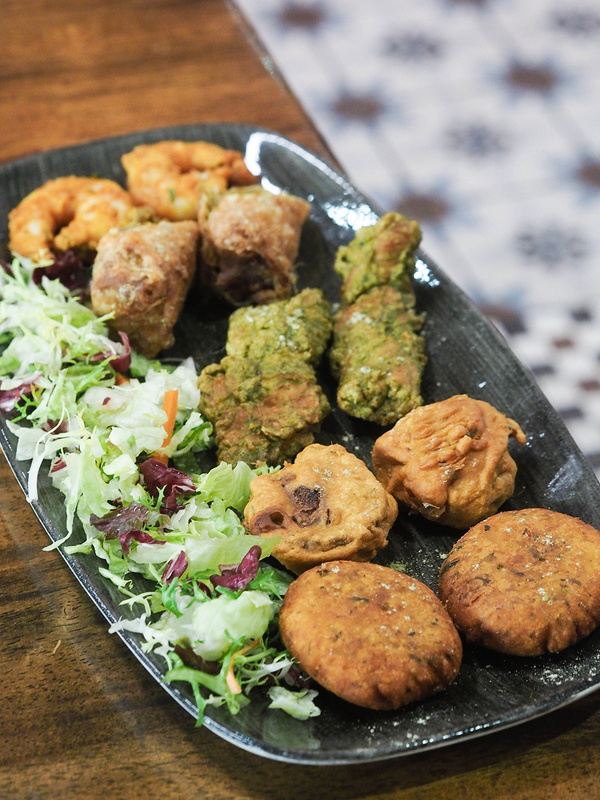 Koliwada Jheenga (Crispy King Prawns), Gosht Kathi (Pulled Lamb and Peppers in a Roti), Hariyali Mokal (Chicken Coated in Flour, Basil and Lemon) and Subzi Tikdee (Stuffed Mushrooms and Potato Croquettes). An introduction to some of the best starters on the menu, I couldn’t help but notice everything was fried, albeit, not oily in the slightest. Koliwada Jheenga, the very fragrant tender King Prawns was a stand out. Ever so slightly crispy with their spice coating and gone in less than 20 seconds. Subzi Tikdee, delicately spiced patties, full of flavour and devoured with a dash of Mango Chutney on the side. Two of the starters that I’d quite happily order again and again. After my initial indecisiveness, I ordered a dish I have loved ever since I was a little girl in Singapore. 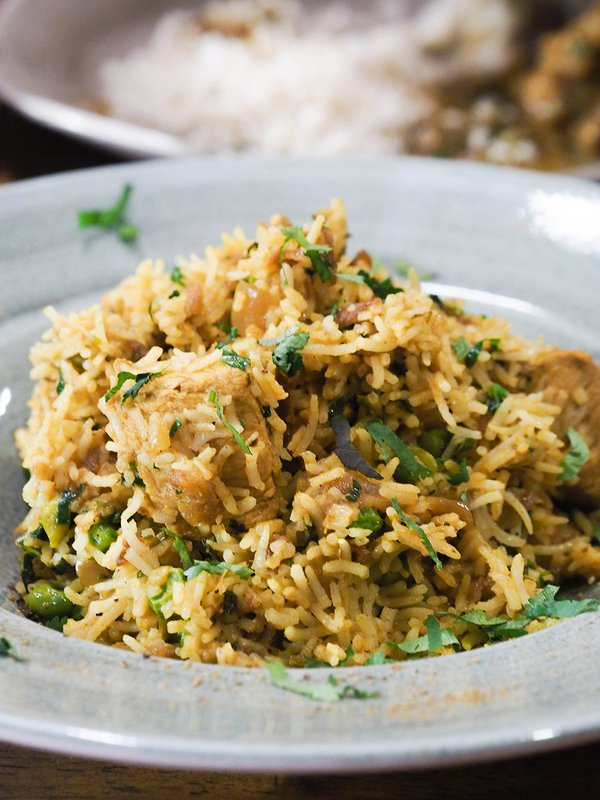 Murg Biryani (Chicken Biryani). A regal dish dating back to Persian and Mughal times, it may seem rather basic and boring, but is in fact delicate and can be enhanced with sauces. To me, it is one of the staple Indian dishes and with as many iterations as there are Indian States, I cannot get enough. Aromatic fluffy rice with tender Chicken Breast pieces, it was a delight. 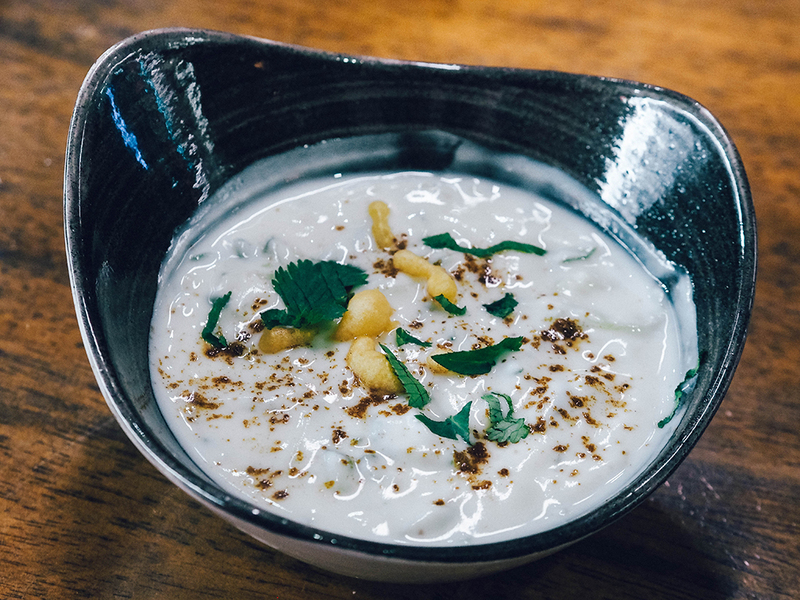 The spices were not overpowering in the slightest and with the accompaniment of a simple Raita, with every bite you experienced another combination of flavours. I was unfortunately defeated by the sheer size of my portion. I was tempted to ask for a doggy bag, but I didn’t want to be that annoying person. Maybe next time. Ross ordered Diwani Handi, Lamb on the bone, with aromatics & spices. 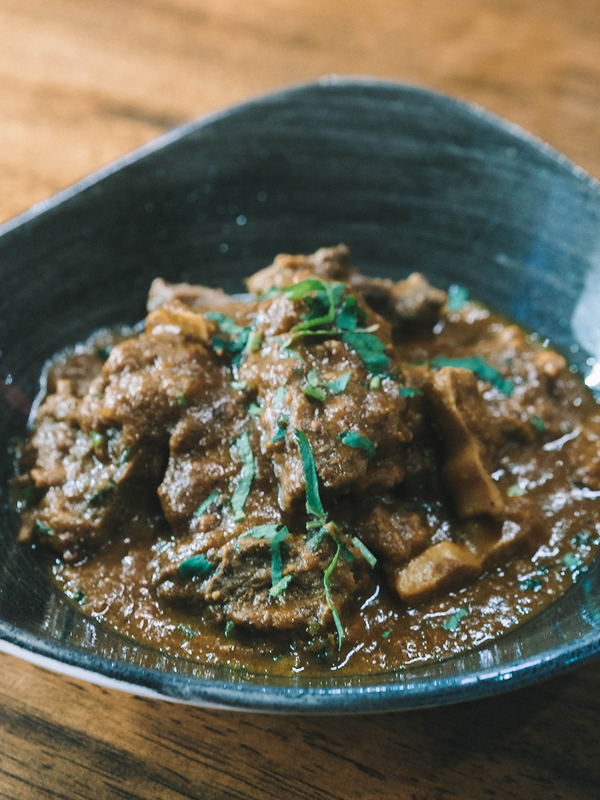 A large heaped bowl of lamb with a luscious rich sauce, perfect for dipping our Garlic Naan into (one thing I can never not order in an Indian restaurant) as well as Bhoora Chawal (Steamed Brown Rice). Served on the bone, the lamb had been slow cooked for hours until it fell off the bone. That didn’t stop Ross from gnawing on the bones for any remains of meat. Perfectly acceptable if you ask me. It was spicy, rich and very flavoursome. Verdict on The Dhabba Glasgow? I enjoyed our meal at The Dhabba, however, I would have expected to see more variety to the starters which was my only let down. It is very different from other Indian restaurants in the city and fits its niche perfectly with good quality authentic dishes. It’s the perfect location for the lone diner wanting something quick after work to larger groups wanting to make a night of it. Staff were friendly and attentive throughout, taking the time to explain the menu when required. . It is a little on the pricey side for some dishes, but for the food produced and portion sizes, makes it value for money. I was invited by The Dhabba as a guest in return for a review. Whilst my meal was complimentary, I was under no obligation to write a positive review and my comments reflect my true experience that evening. I also left a substantial tip for the staff prior to leaving. I’ve been looking for new restaurants in the area to try. I always seem to go to the same places. It’s years since I’ve been for an authentic Indian meal though so may give this place a try! A good website, These are amazingly good! I’ve made this several times for my husband. He loves them It’s good for you and great tasting!